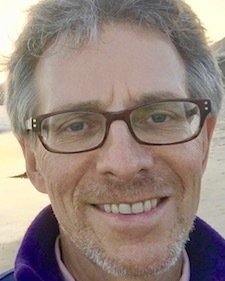 Richard Miller, PhD, C-iRest, ERYT-500 is a clinical psychologist, author, researcher, yogic scholar, and spiritual teacher. For over 40 years, Richard Miller has devoted his life and work to integrating the nondual wisdom teachings of Yoga, Tantra, Advaita, Taoism, and Buddhism with Western psychology and neuroscience. Among his mentors were Jean Klein, T.K.V. Desikachar, and Stephen Chang. Richard serves as a research consultant studying the iRest Yoga Nidra Meditation protocol that he developed. He focuses his research on its efficacy on health, healing, and well-being with diverse populations - including active-duty soldiers, veterans, college students, children, seniors, the homeless, the incarcerated, and people experiencing issues such as: sleep disorders, PTSD, chemical dependency, chronic pain, and related disorders. In addition to his research and writing projects, Richard lectures and leads trainings and retreats internationally. Ross Guest is a supervisor and Certified iRest Teacher. He has been a student and teacher of iRest for 20 years. He lives in Kimberley BC where he teaches yoga for men. He also teaches meditation to groups and individuals. A passionate cyclist, Ross rides a few thousand kilometers each summer and competes in Grand Fondo events. Ross is devoted to taking the practice of meditation off the cushion and into real life situations to meet and be with whatever is arising in the present moment. Ross is thankful that his first and only yoga and meditation teacher is Richard Miller who is an employer, a teacher and a good friend. Previously, Ross was a Corporate Counsel for a number of Textron companies in Canada and was a director and business consultant to numerous large Canadian companies. Ross and his wife Kirsten enjoy an active lifestyle of weight training and outdoor activities in the Mountains of the Rocky Mountain trench. Duane Light is a Certified iRest Teacher, owner of Holistic Legal Solutions, and a retiring holistic attorney. He is currently creating an online program to help people consciously navigate traumatic legal issues. He is also a musician who plays and records with a variety of bamboo and wooden flutes from around the world, notably Native American flutes and the Bansuri from India. Duane lived and traveled in Asia for five years, where he studied and practiced Buddhist, Taoist, Chan, Yogic, and Zen traditions. When he began to study iRest with Richard in 2013, his understanding and ability to teach matured. He now creates meditations and teachings for his course, filming his videos in the peaceful beauty of nature. Cameron McKinley, Board Member, is a Certified iRest Teacher and student of Yoga Nidra. She has shared these ancient healing practices with a wide variety of people including: hospice patients and those who are grieving a personal loss; people experiencing homelessness and those with multiple mental illness diagnoses; high school students and dream workers, among others. Cam has an M.A. in Writing/Poetry and, after completing seminary at The Chaplaincy Institute, she was ordained as an Interfaith Minister in 2002. She also serves on the Board of Directors of Impact100 Sonoma, a women’s collective grant-making nonprofit organization. Cam lives with her husband in Sonoma, California, where she enjoys contemplative practices, gardening, biking and hiking. 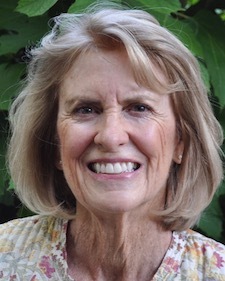 Judy Shaper is a Board Member and a Certified iRest Teacher. She has practiced yoga and meditation since 1974, originally studying with Maharishi Mahesh Yogi and Thich Nhat Hanh. Since discovering iRest Yoga Nidra in 2000 she has been an active and devoted student of Richard Miller, PhD. 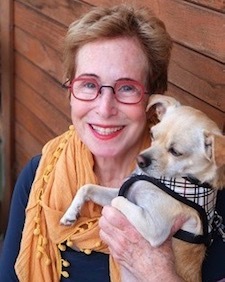 Judy served as president of Congregation Kol Shofar in Tiburon, Ca and was on the Board of the Zen Hospice Project. She graduated from NYU with a degree in psychology and education, is a professionally trained chef, and has worked in real estate as a mortgage broker where she helped people finance their dreams. Judy has two grown daughters, loves music, plays guitar, and is a passionate gardener and animal lover. She lives in Sausalito on a floating home and loves being surrounded by the beauty of this world. If you wish to contact anyone from the Board, you may do so via: our contact form, by calling the office at (415) 456-3909, or by emailing info@irest.org.